Confession: I've been hiding something from you all, and I hope everybody (especially my dry-skinned brethren) can forgive me for not getting around to sharing it sooner. It's Clinique Moisture Surge Overnight Mask, one of my skin care staples since I was introduced to it last year. I was using it throughout summer and fall, and it's become especially helpful now that my skin is suffering through winter. 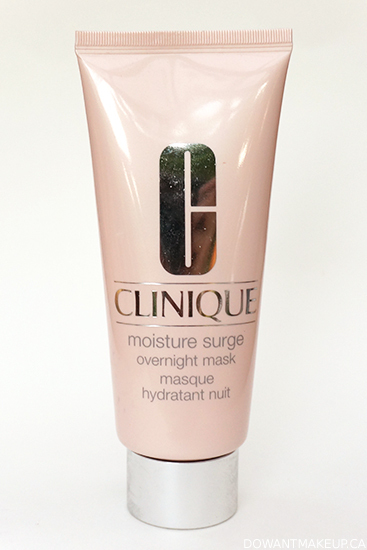 Clinique Moisture Surge Overnight Mask's tube dispenses an oil-free, pale pink cream with a slightly whipped texture. Although my skin feels a bit tacky after application, it isn't greasy. Clinique says it's intended to help "skin drink deep to replenish lost moisture, build reserves for tomorrow". Based on my experiences, this hit the bullseye. The ingredients list is comprised of all the Good Stuff™ that I like to see in a moisturizer for dry skin, such as glycerin (humectant that attracts and binds water to the skin), shea butter (emollient), mango seed butter (emollient), aloe (skin conditioning), and sodium hyaluronate (natural moisturizing factor). I prefer to slather it on at night after exfoliating so that all of that Good Stuff™ really sinks in, and then I wake up with such happy, plump skin! 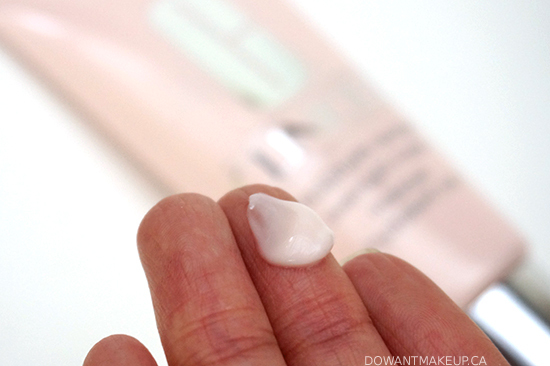 I loved the Moisture Surge Overnight Mask so much that I bought a backup after only a few weeks' use--a big deal if you're a blogger constantly testing the latest in beauty and a total product-commitment-phobe! So why does Clinique call it an "overnight mask" rather than simply a "night cream"? Although Clinique says it can be used nightly, I find it a bit heavy to use night after night for me, even in the winter. Just like you probably don't use a LUSH Fresh Face mask or paper mask every night, I think it's perfect just on a weekly basis for a serious boost of hydration; "overnight mask" is pretty accurate. As the product name suggests, it's best to use this at night. It's too heavy for day use for most people, especially if you're planning to wear makeup--your foundation may just slip right off your face! I would recommend this to pretty much anybody (particularly during winter), unless you're very very oily with zero dry patches that need extra love. Dry patches that need extra love pretty much describes my whole face, so I'm beyond happy to have this in my skin care arsenal. What are your winter skin care staples?